The fight between Australian and New Zealand manuka honey producers over the trade marking of the product has heated up. A group of producers and processors have recently formed the Australian Manuka Honey Association, to fight the New Zealand industry’s trade mark attempts. Manuka honey is claimed to have beneficial properties to counter ailments such as colds, sore throats and wounds. The Australian Manuka Honey Association (AMHA) was initiated in Melbourne in September 2017. It follows an application from New Zealand producers for exclusive trade marks on “manuka honey” in countries such as China and Australia. Who makes up the AMHA? The AMHA consists of representatives from Australia’s largest honey producer Capilano, as well as scientists and researchers from the Honeybee Cooperative Research Centre. AMHA chairman Paul Callender said the formation of the group would enable the domestic manuka honey industry to come together and fight the trade mark application. “New Zealand are trying to do this trade mark globally to prevent access from other manuka countries participating in those markets,” Callender said. Manuka honey has enjoyed a surge in demand globally, with the New Zealand market reported to have tripled in value since 2012, according to ABC Rural. 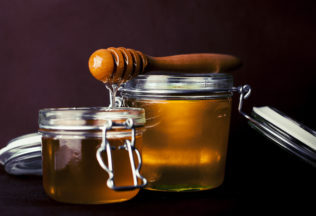 New Zealand manuka honey exports are valued at 10 times that of Australia’s, with the Kiwis sending 9,000 tonnes of honey out of the country annually. Despite lagging behind New Zealand in terms of exports, Callender believes the Australian industry has room for growth, particularly given Australia’s vast land area and suitable conditions for manuka planting. “You would think it would be better for us to be collaborating and partnering as well as looking at joint ventures and strategic investments with the New Zealanders, rather than arguing about the word manuka and who owns that,” Callender said. The New Zealanders trade mark push began more than two years ago. John Rawcliffe from New Zealand’s Unique Manuka Factor Honey Association said the trade mark is essential to prevent foreign imitators damaging the integrity of the brand. “There is a whole heritage, culture and research behind the unique product from New Zealand that a consumer expects to see or buy,” Rawcliffe said. IP Australia is the Australian Government agency that administers intellectual property rights and legislation relating to trade marks, patents and plant breeder’s rights. A trade mark ‘can help your customers discern the quality of your product or service over that of your opposition,’ according to the IP Australia website.